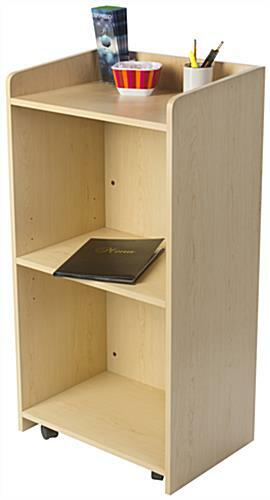 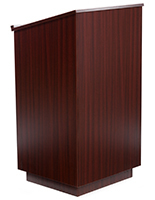 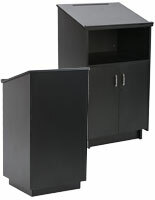 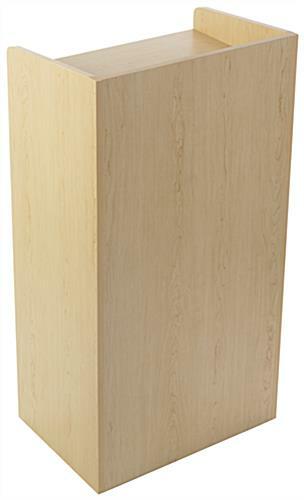 This restaurant hostess podium is a 49" tall maple laminate customer service or checkout stand for hospitality environment. 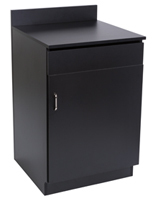 Each sturdy plywood fixture offers a recessed flat top work surface that can be used to hold menus and reservation books at the entrance to a dining room or bar or as a work surface for tablets, laptops, and other checkout equipment. 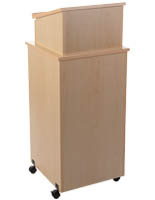 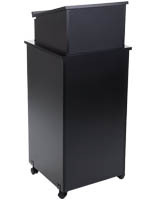 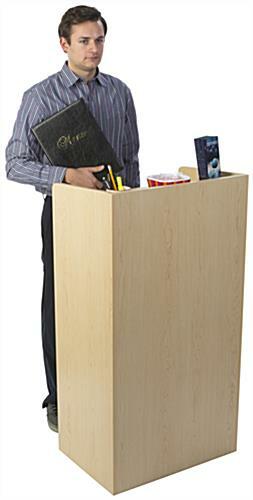 This type of valet, conciege or hostess podium offers an open back with adjustable height shelf for storing supplies or equipment. 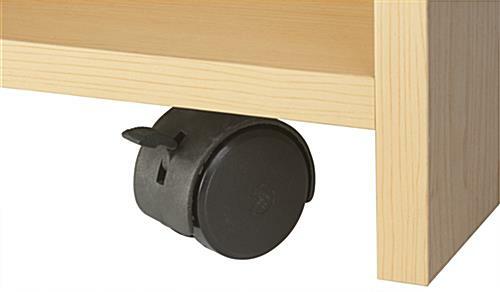 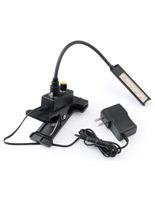 The versatile design and sturdy construction include four hidden caster wheels that allow the stand to be moved easily from one location to another as needed. 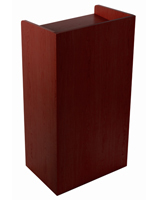 The maple finish 24" wide hostess podium can be used as a customer service or checkout fixture and will complement any environment. 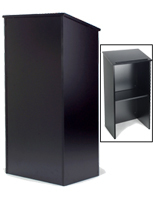 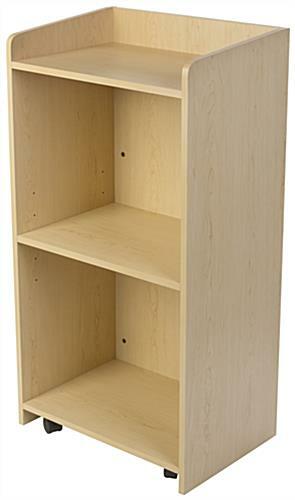 The recessed top and open rear storage area with adjustable height shelf are ideal for menus, concierge or reservation books, and dining room or bar supplies.